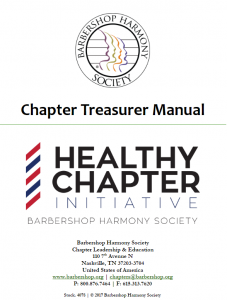 Home / Chapters / Updated Training Manual for Chapter TreasurersBecome A Member! In prior years, the chapter treasurer manual also had a separate “exhibits manual”. We’ve since consolidated the two into one. The new manual includes increased appendices towards the end of the document for reference and guidance for our chapters. We’d like to thank the content experts who have assisted in updating this valuable tool for chapter and district treasurers.